Leading cargo conversion company, PEMCO World Air Services (PEMCO), has announced the redelivery of another B737-300 freighter aircraft (MSN 28972) to China-based SF Airlines, the air cargo division of S.F. Express. 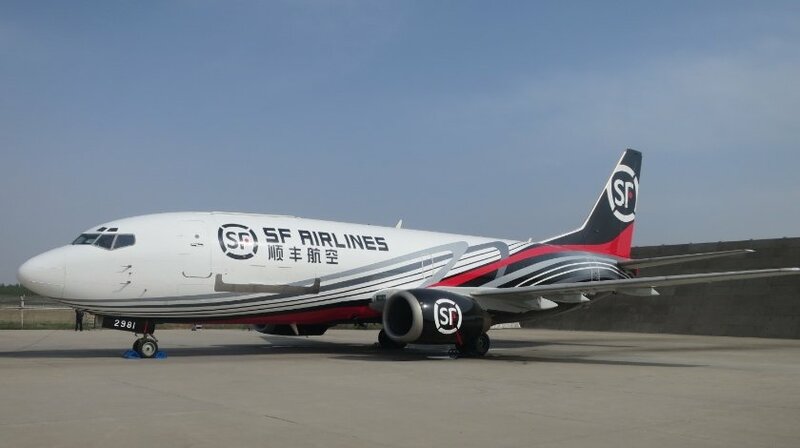 SF Airlines is a leading courier in China providing delivery service to over 15 countries, including the United States. Performed by partner STAECO in Jinan Shandong, China, the latest redelivery marks the fifteenth B737-300/400 PEMCO converted aircraft to SF Airlines since 2013. Four more PEMCO converted aircraft are planned to be added to SF Airlines’ cargo fleet in 2016. PEMCO’s latest 737-300 freighter conversion for SF Airlines provides nine pallet positions, up to 43,100 pounds of payload, 4,600 cubic feet of total volume, and a max range exceeding 2,000 miles. Today PEMCO, together with its three regional conversion installation partners, provides seamless global product support to operators of their Boeing 737 converted freighters. PEMCO’s 60-plus customers select the company’s passenger-to-freighter conversion for its superior cargo door and system, superior operating functions, on-time turnaround, and a track record of 2 million hours of safe, reliable operation. PEMCO B737 freighter conversions are the world’s only designed, certified and supported conversions that use data obtained through an exclusive Boeing Data licensing agreement to ensure maximum performance and reliability.